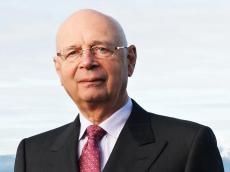 The founder and executive chairman of the World Economic Forum (WEF), Professor Klaus Schwab has congratulated Azerbaijan’s President Ilham Aliyev. ‘I congratulate you on the occasion of your re-election as president of Azerbaijan. I sincerely wish you success on the path of reforms chosen in the past years and in continuing the agenda for diversification of export. I take great pleasure in inviting you to the 49th annual meeting of the World Economic Forum to be held on January 22-25, 2019 in Davos-Klosters, Switzerland. The annual meeting held in January this year once again demonstrated that there is more need than before in a multilateral meeting forming the global agenda in the beginning of the year,” said the congratulatory letter.